OVERALL LENGTH 173.8", OVERALL HEIGHT 60.1", WHEELBASE 103.7", TRACK 59.8"
All models available in all colors. Dodge is a registered trademark of Chrysler Group LLC. FORM NO. 74-383-2205_10/11 (24M)_LITHO IN U.S.A.
coverage. © 2011 SiriusXM Radio Inc.
the driver needs to use less throttle and adapt speed and driving behavior to prevailing road conditions. Always drive carefully, consistent with conditions. Always wear your seat belt. airbag. All occupants should always wear their lap and shoulder belts properly. colors, materials, and to change or discontinue models, which are considered necessary to the purpose of product improvement or for reasons of design and/or marketing. 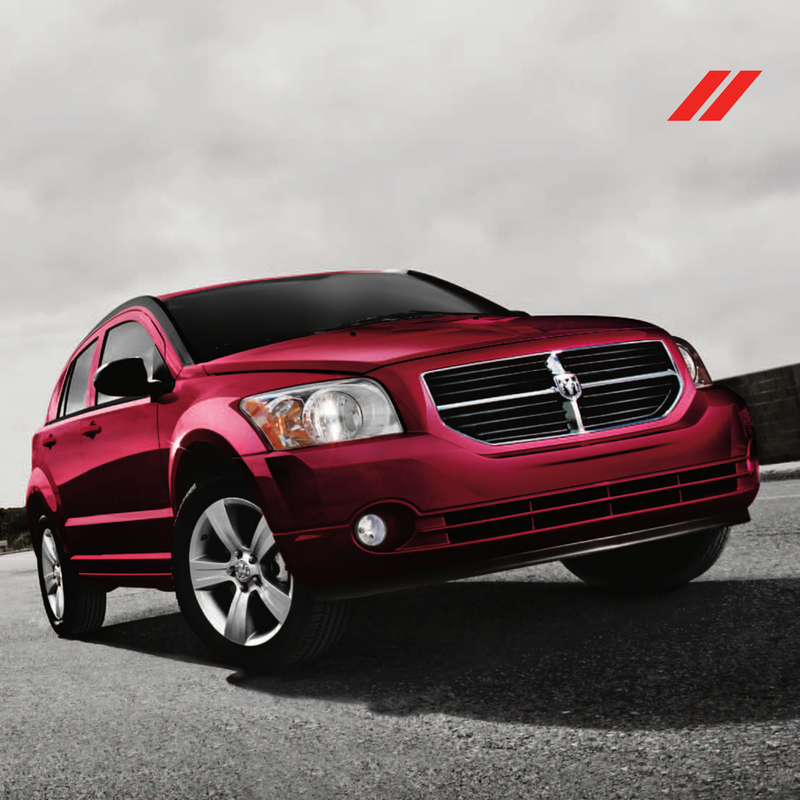 Caliber, Chill Zone, Dodge, MusicGate Power, Uconnect and Sentry Key are registered trademarks of Chrysler Group LLC. Sirius, XM and all related marks and logos are trademarks of SiriusXM Radio Inc. Boston Acoustics and the Boston Acoustics logo are registered trademarks of Boston Acoustics, Inc. All rights reserved. HomeLink is a registered trademark owned by Johnson Controls, Inc.
registered trademark of Bluetooth, SIG, Inc. © 2011 Chrysler Group LLC. All rights reserved.